Britain's very own Barn Owl! This beautiful owl is sadly endangered and the World Owl Trust is battling to save the species. The chief problem is the loss of habitat, as this reduces potential nest sites and the number of hunting grounds. 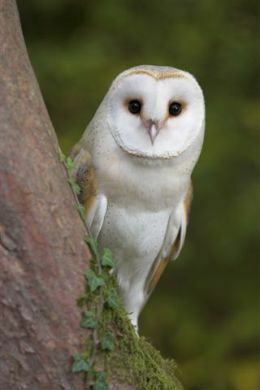 The Barn Owl, as its English name suggests, likes weathered old barns to nest in. Find out more about the Barn Owl by adopting one today. Single price £33 Pair price £43 Adoptions help to support the care of the owls for one year. You will receive a certificate, photo, keyring, fluffy toy owl, badge and information sheet about the adopted owl. When purchasing an adoption please note, the owl will stay at the centre and will remain the property of the World Owl Trust.